Diaverum wins the ‘International dialysis clinic of the year’ award for its d.HOLIDAY programme. The award was given to Diaverum for demonstrating the greatest success in attracting and serving international patients who require dialysis whilst on holiday or on business. Andre Freitas, Head of Diaverum’s global d.HOLIDAY programme, says the award is “truly deserved” by all the d.HOLIDAY team. “In particular, all the Holiday Country Coordinators and all the people at our centres who work very hard in tending to patients’ needs when it comes to their right to travel and to their receiving the best treatment experience possible when at our centres. “I have no doubt that all the true commitment our teams put into supporting patients’ holidays make us stand out as the best, especially in patients’ opinions,” he adds. The judges looked for evidence of the numbers and type of patients treated, quality and range of services and patient satisfaction. In 2015 Diaverum performed almost 31,000 holiday treatments which, considering the three-treatments-per-patient average, means around 10,000 holiday patients. This means the programme has doubled in size since 2011. Christine Buchberger, Director Marketing for d.HOLIDAY, says our tremendous effort in improving quality of life for CKD patients by enabling them to travel has been recognised by an international, knowledgeable institution. “This is a great reward for a great team that keeps putting their heart and soul into continuously developing the idea of holiday dialysis,” she states. 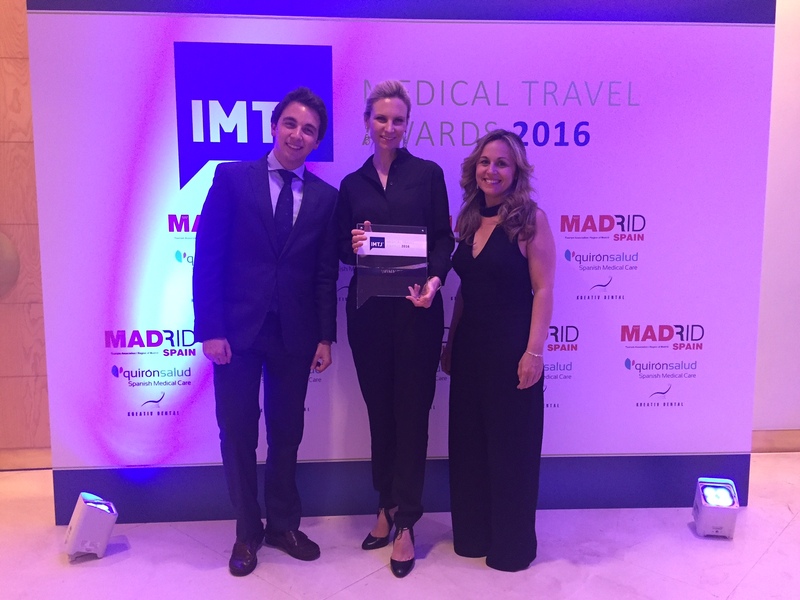 Held annually, the International Medical Travel Journal’s (IMTJ) Medical Travel Awards took place this year in Madrid on 24 May. They celebrate outstanding achievement in the medical travel, medical tourism and health tourism industry worldwide. 20 awards were on offer across five categories.